For the lovers in Dinesh Vijan’s “Raabta” (Connection), one lifetime is not enough. The appearance of a comet called “lovebug” sets into motion a series of events which brings them together again after a thousand years. The film is a rehash of the many reincarnation stories that have populated the Bollywood romance genre over the years and has nothing new to say. If you don’t have the time to dwell on her flightiness, it is probably because you are distracted by the sheer verbosity of Shiv. He probably thinks a minute of silence is a minute he is wasting, and spends all his waking hours trying to impress Saira and throwing smarmy one-liners at her. Even when Saira tells him about her constant nightmares and the fact that she is unable to sleep at night, he has a patronising line about how her life is interesting and that she has the tragedy of her parents’ death while he leads a stodgy, boring life as a banker! We are transported back in time a thousand years where tribes are fighting to control a kingdom, and Zak and Shiv are warring princes. It is difficult to understand what the point of this story is other than to add depth to the current love story and to make Shiv and Saira sound like lovers who were destined to meet, instead of the self-centred, shallow people they seem to be. But Vijan doesn’t seem to have the directing chops to make this kind of film, and at 154-minutes, “Raabta” is much too long and overwrought. 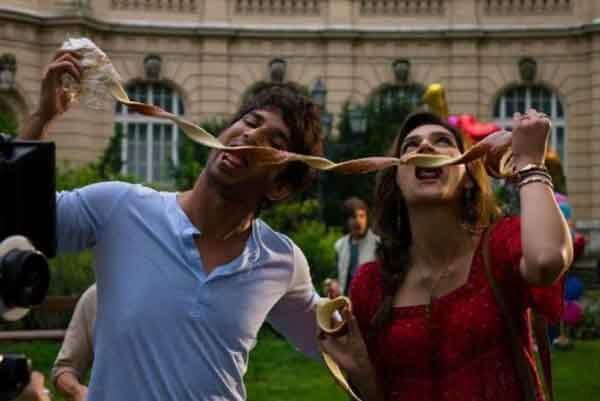 Sanon and Rajput drum up chemistry in the beginning and try to make their parts work, but Jim Sarbh is out of his depth. He is uncomfortable as the villain and unintentionally funny when he tries to portray the charming psychopath.